Under Governor John R. Kasich’s leadership, Ohio restored its fiscal stability and became one of the nation’s top job creating states. By rebuilding the state’s budget reserves to an historic $2.7 billion, cutting taxes by $5 billion, and streamlining regulations, Ohio achieved the most improved business climate in America, one that created more than 550,000 new private-sector jobs and outpacing the national average. At the same time, Gov. Kasich worked to help those most in need and make sure vulnerable Ohioans have opportunities to reach their full potential. That included expanding health care coverage to more low-income Ohioans, enabling people to move up and out of poverty, helping minority small businesses grow and strengthening opportunities for those with developmental disabilities. As a Congressman, John Kasich chaired the House Budget Committee and was the chief architect of the last federal balanced budget. He also served 18 years on the House Armed Services Committee where he was a strong ally of President Reagan and his national security agenda. He has also had a successful career as an investment banker, New York Times best-selling author and hosted his own television show on Fox News. The governor is originally from McKees Rocks, Pennsylvania, a blue-collar town outside Pittsburgh where his father delivered mail for 30 years. He and his wife Karen have twin daughters. 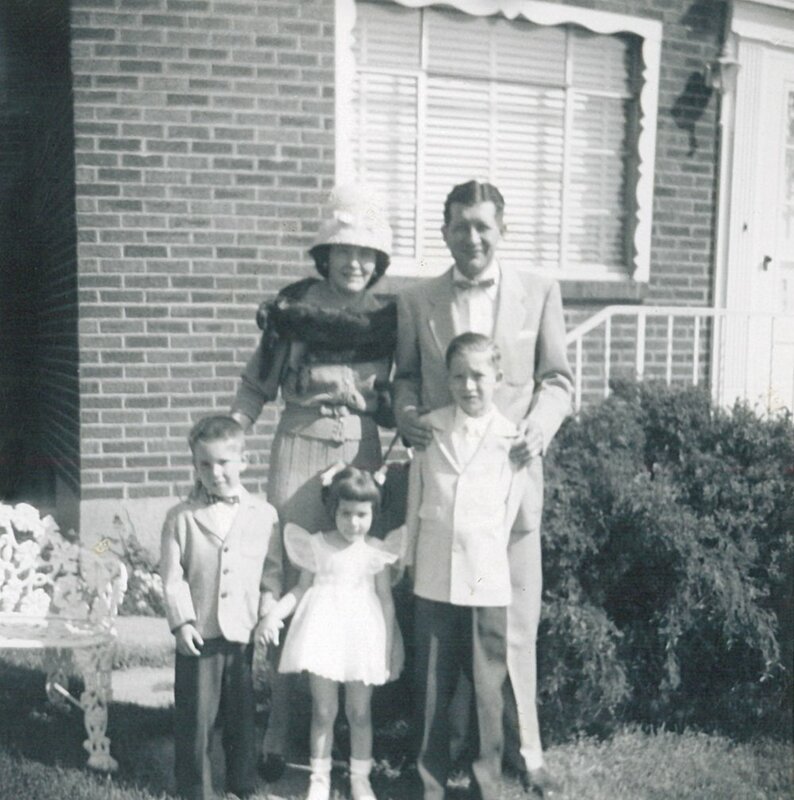 Born in McKees Rocks, PA (near Pittsburg) John Kasich (far-right) pictured with his parents and siblings. In 1993, then Cong. John Kasich teamed with Democrat Cong. Tim Penny to propose the Penny-Kasich Deficit Reduction Amendment. Though it was defeated, this was an important step on the path to a balanced federal budget. 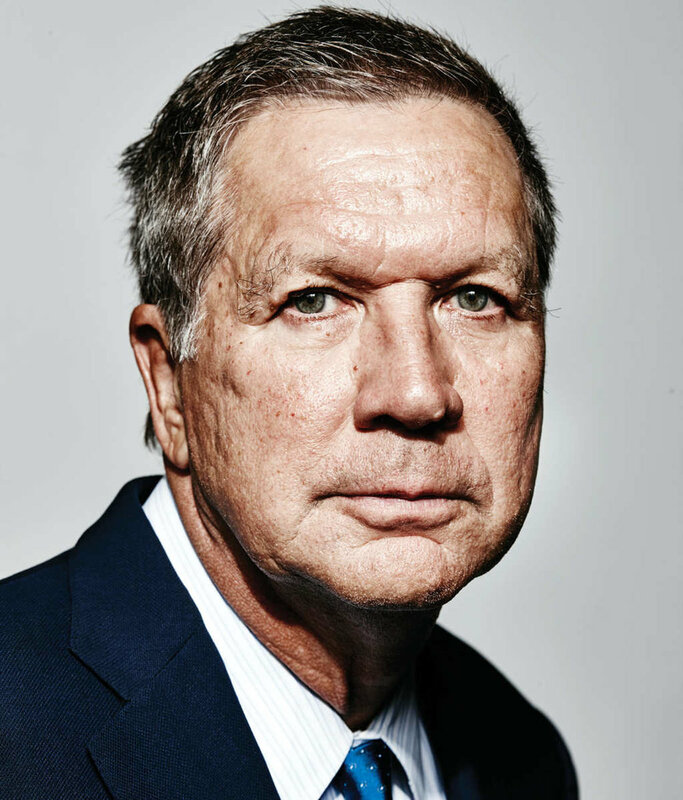 Representing a new generation, John Kasich served in the U.S. House of Representatives from 1982-2000, leading the budget committee and serving on the defense committee. While attending The Ohio State University, John Kasich wrote a letter to President Nixon and it resulted in an invitation to visit with the President. Republicans took control of the U.S. House in 1995 and Congressman John Kasich was named chairman of the powerful House Budget Committee. Pictured with Speaker Newt Gingrich and Senate Majority Leader Bob Dole. Two years later, Gov. Kasich’s decade of work paid off as President Clinton signed the Balanced Budget Act of 1997 - the first time the federal budget had been balanced since man walked on the moon. As a 18-year member of the U.S. House Armed Services Committee, John Kasich was a key supporter of President Ronald Reagan’s national security policies and played a role in every major national security effort that helped end the Cold War. He then went to work helping transform our military into a flexible force able to respond to more varied threats, like those we face today. John Kasich was known as the guy who never gives up and works tirelessly to produce good policy that improves the lives of all Americans. John Kasich ran for president in 2016 among a crowded field with 16 other candidates. Ultimately finishing with the third-highest delegate count, a second place finish in New Hampshire and a win in Ohio, Kasich was the last primary candidate standing before ending his campaign on May 4, 2016. In 2013, John Kasich was one of just a few Republican governors to fight to expand Medicaid to help more low-income Ohioans have access to healthcare. Why? It was simple. It was the right thing to do. In Ohio, he argued, it provided critical programs for the drug addicted, mentally ill and working-poor. It also provided a pathway for Ohioans to get healthy and get back into the labor force. This was a conservative approach to healthcare that many GOP governors adopted in following years. John Kasich was elected Governor of Ohio in 2010, running on a platform to restore the state’s fiscal stability, cut taxes to spur growth and reform government. The result? 550,000+ new private-sector jobs, a $2.7 billion state budget surplus and new reforms to help the state’s most vulnerable citizens. A national voice - Gov. John Kasich has been one of few Republican leaders calling for a return to civility and decency in our politics, often saying that “Our politics doesn’t need to be a zero-sum game where I win and you lose,” which only drives the parties further and further apart. It’s ultimately up to each of us to do what we can to bring America together again.